The New York State legislature is poised to approve a bill to codify the abortion rights in the U.S. Supreme Court's Roe v. Wade decision into state law. For supporters, including the majority of Senators and Assemblymembers, it’s been a long time coming. But for opponents, it’s a bitter disappointment. The legislation was blocked for a dozen years in the state Senate, because Republicans who held the majority did not permit the bill to come to the floor for a vote. Now, with the election of several new Democrats to form the ruling party in the State Senate, they’ll join the Democrats who lead the Assembly to likely pass the bill on the anniversary of the Court’s 1973 decision on Roe v. Wade. 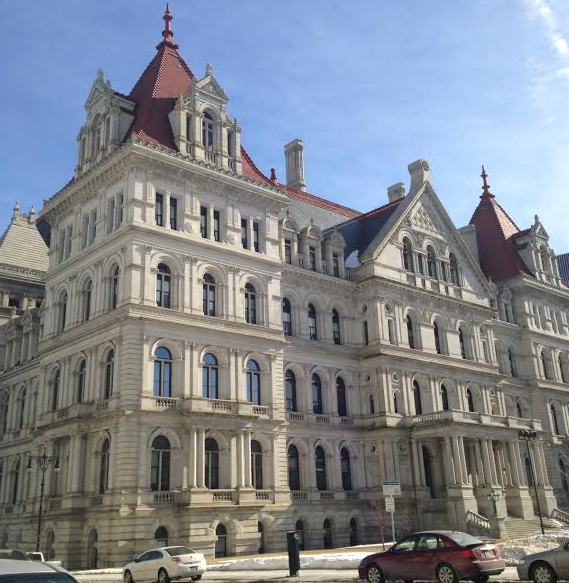 Miller says the New York legislature’s swift action on abortion rights can motivate other states to act, during a time when President Donald Trump’s recent appointments to the Supreme Court increase the chances that Roe v. Wade could be overturned. “To have New York come out of the box fast, early in the state legislative cycle and make this definitive statement can be really inspiring,” Miller said, especially, she said, in wake of midterm elections where many candidates ran and won on the issue. “Thankfully the number of abortions in New York State and around the country had been trending downward for at least the last ten years,” Gallagher said. “We think the Reproductive Health Act is going to undo all that good and move things in the opposite direction." Gallagher says the Reproductive Health Act goes beyond the rights established in Roe v. Wade. She says a provision that permits a “licensed, certified, or authorized practitioner” to perform an abortion means it would allow health professionals other than doctors to provide the procedure. She says it could also weaken criminal penalties in cases where domestic violence leads to the loss of a fetus, because the procedure would be removed from the state’s criminal statutes and instead be under the public health laws. Gallagher says it is “ironic” that the Democratic-controlled legislature is acting on the Reproductive Health Act while moving toward expanding rights for voting, access to college, and even legalizing marijuana. Gallagher concedes that the measure is all but certain to pass. She says the next step for Catholics who oppose abortion is to help provide more services and choices, like financial help and help with adoption, for women who find themselves with unwanted pregnancies. Democratic Governor Andrew Cuomo, who backs the measure, is expected to sign it. Former U.S. Secretary of State and presidential nominee Hillary Clinton joined New York Governor Andrew Cuomo Monday to promote plans to codify abortion rights in state law in the new legislative session. WAMC's Dr. Alan Chartock comments on President Trump's expected address to the nation tonight regarding his desired border wall. He also discusses New York Governor Andrew Cuomo and Hillary Clinton's rally yesterday for the codification of abortion rights in the state. Hoping to keep momentum going from the Women’s March on Washington last month, a rally is scheduled tomorrow in Springfield, Massachusetts. Another event Saturday in western Massachusetts will raise money for an abortion rights fund.